GEMAC’s new line of 1D-inclination sensors with current interface K0131-02 based on GEMAC IS1A 45 P59 is now available from CAN + Automotion . Concentrated Solar Power (CSP) or parabolic trough plants use these sensors to help concentrate solar energy by tracking parabolic solar reflectors mainly in Europe. 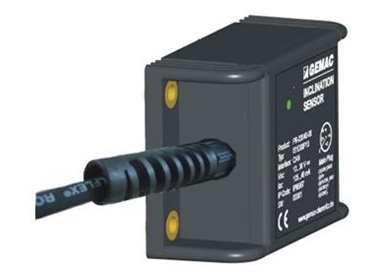 The inclination sensors can now be used in any application that requires one-channel static measurement of inclination angles. The solar tracking inclination sensors have been tailored and calibrated with current interface for a ±45° inclination angle in one axis.